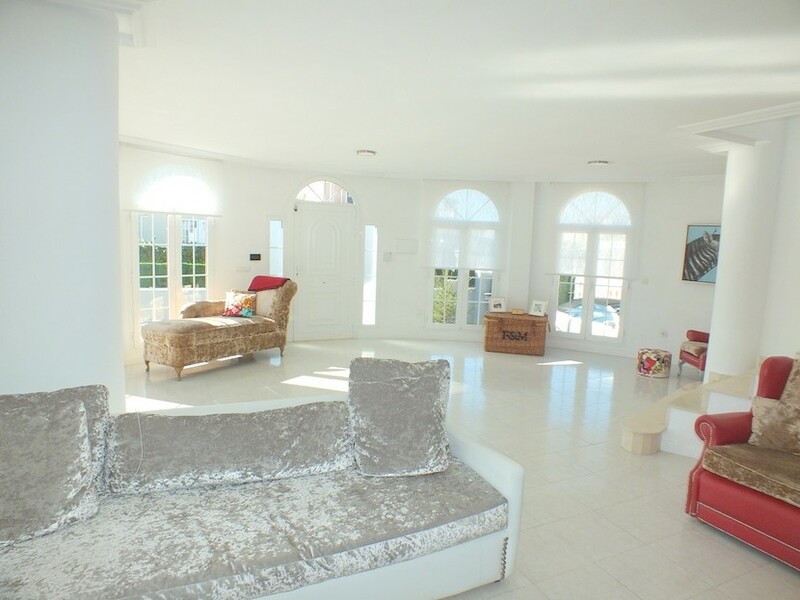 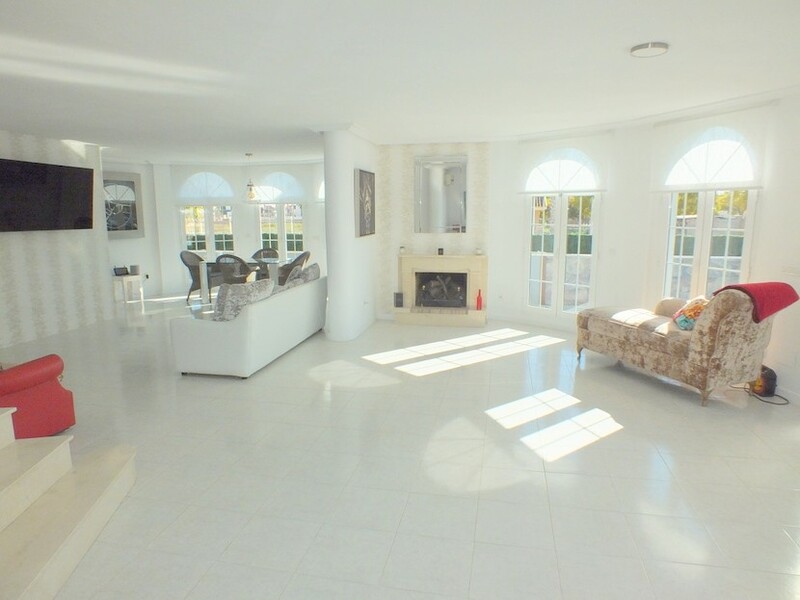 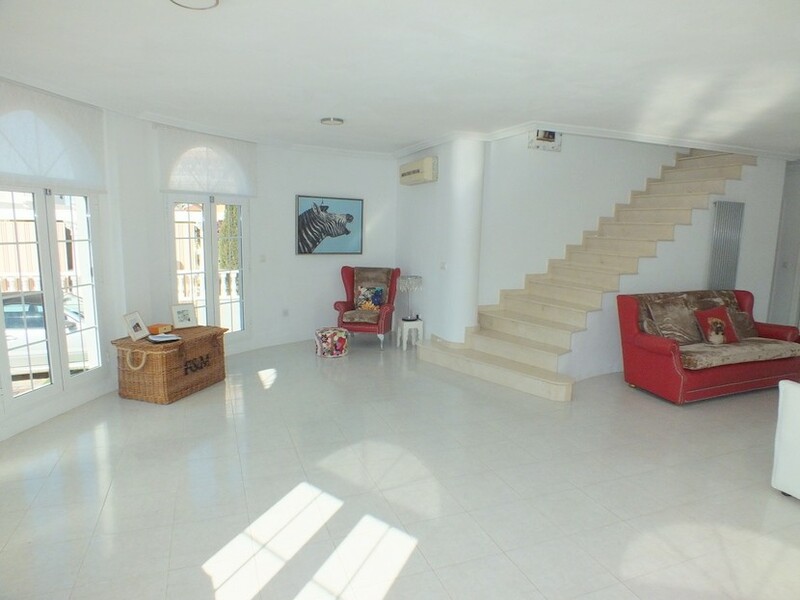 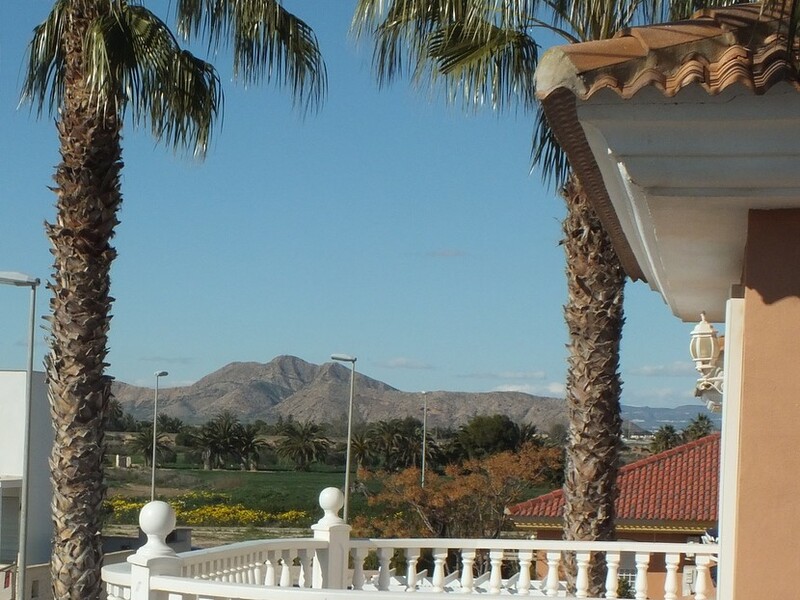 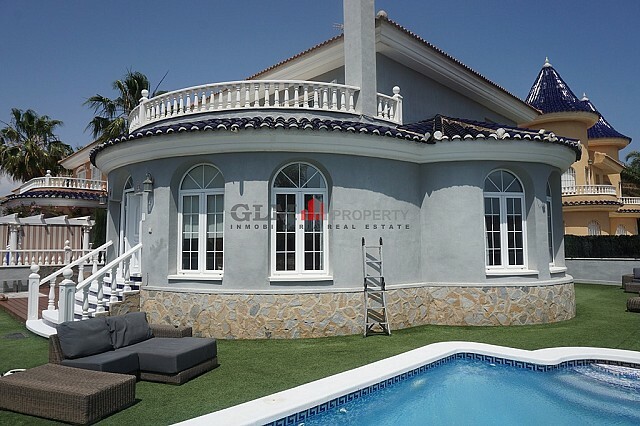 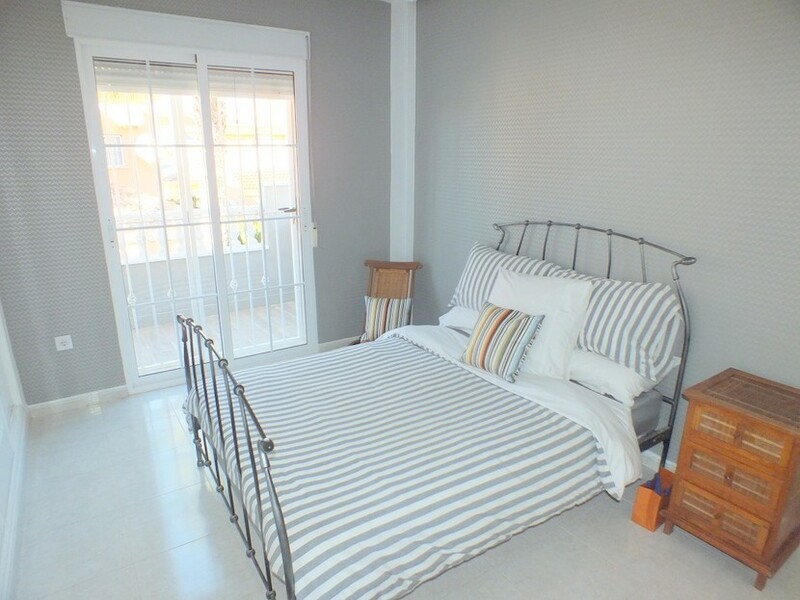 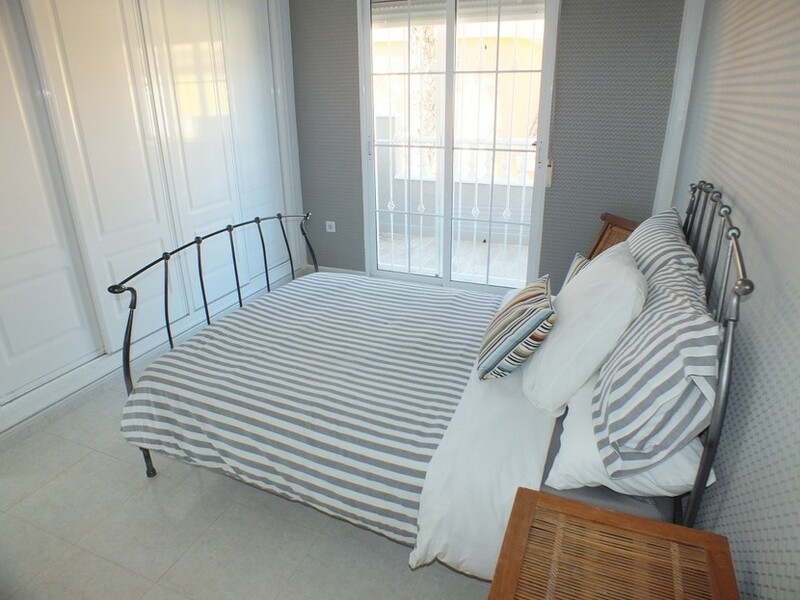 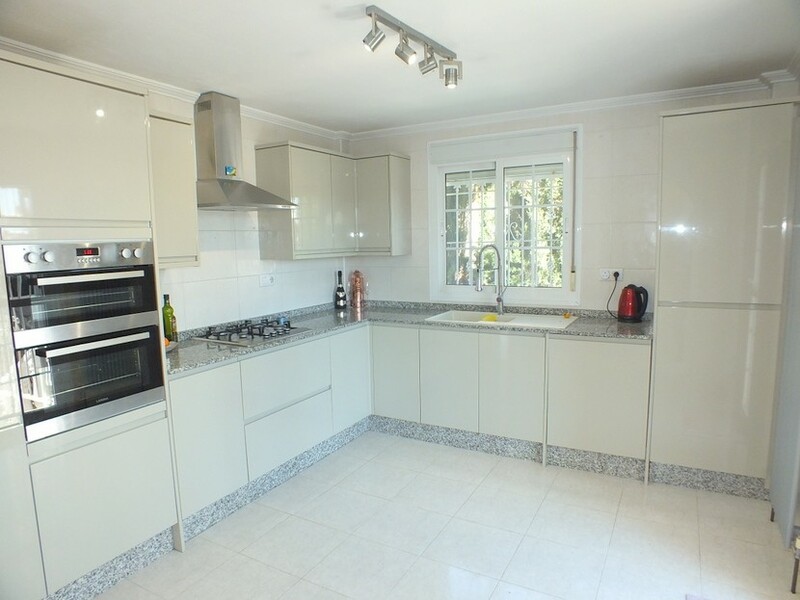 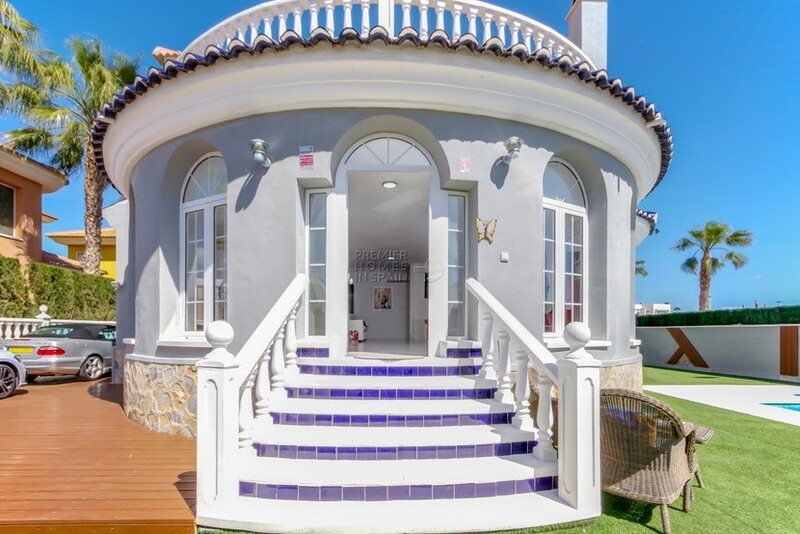 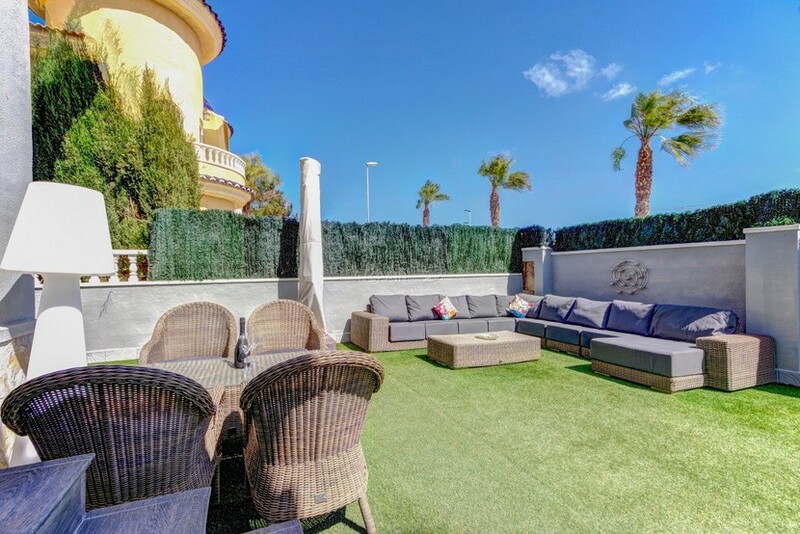 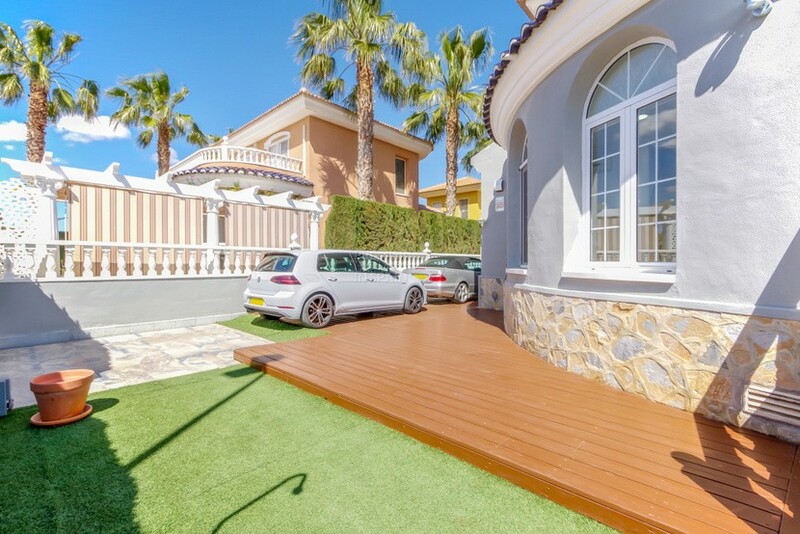 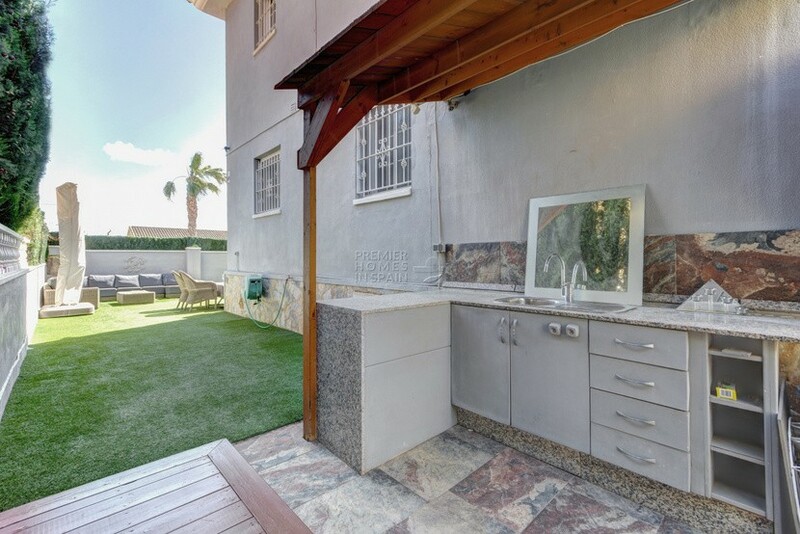 This stunning 4 bedroom 3 bathroom detached villa is located in the most popular area of Los Alcazares within a short walk to the local beaches, restaurants and bars. 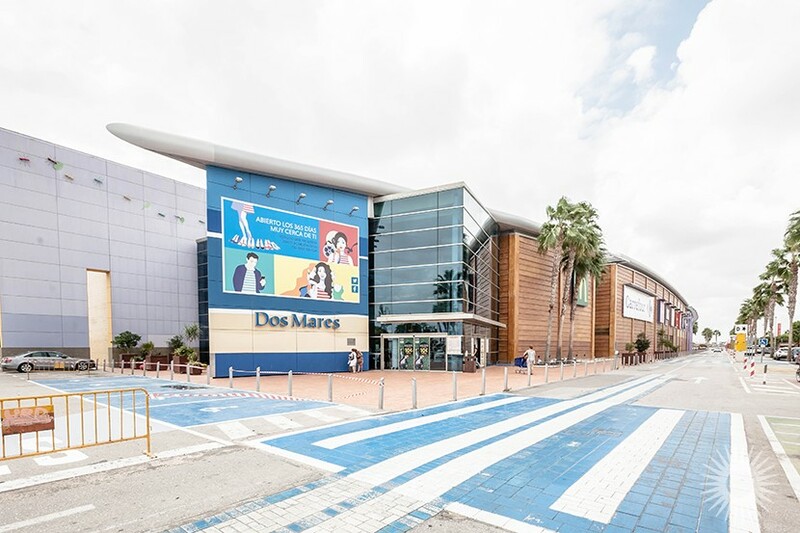 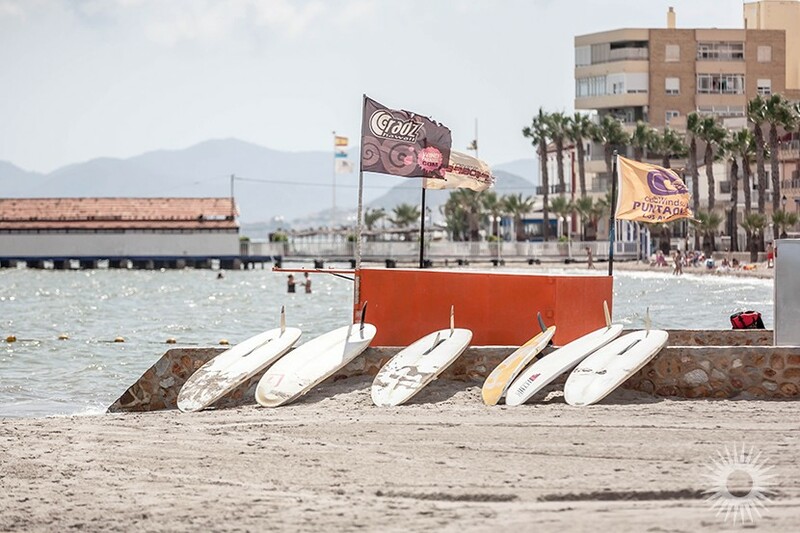 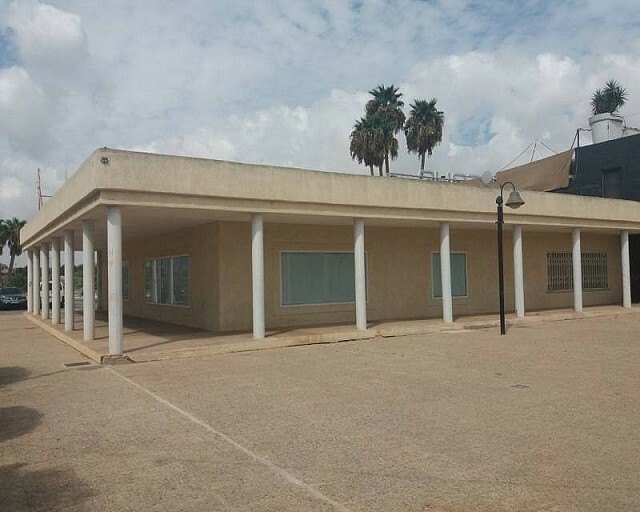 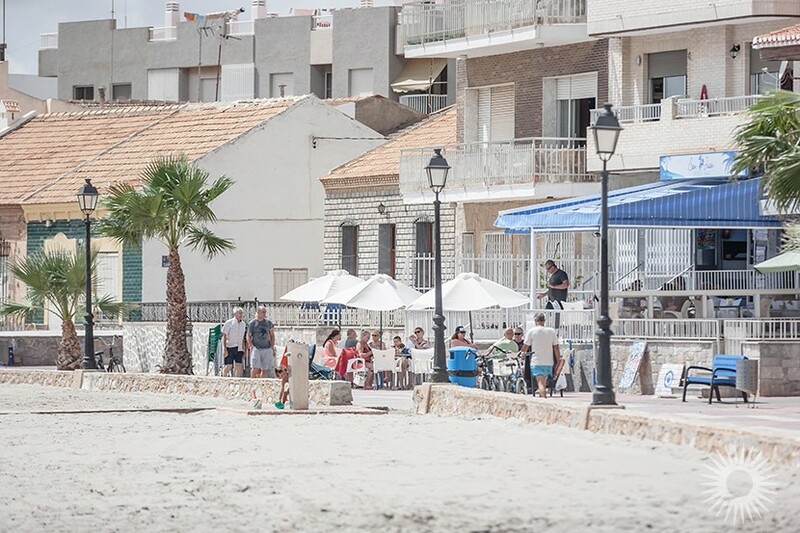 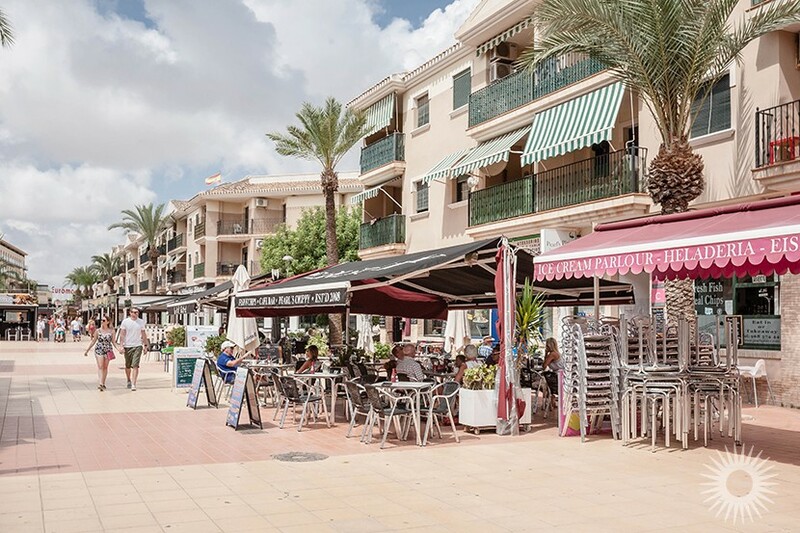 in Los Alcazares you will find everything on your doorstep, shops, supermarkets and health centre all within a 5 minute drive. 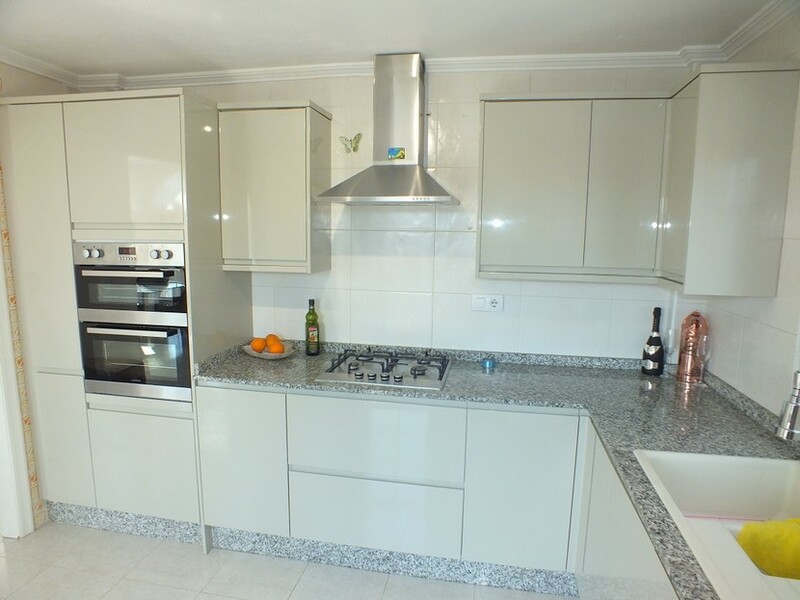 You enter the property into a large reception/living and dining area with open fireplace, there is a modern, independent, kitchen with access to the garden, a very spacious double bedroom with fitted wardrobes plus a bathroom and storage room. 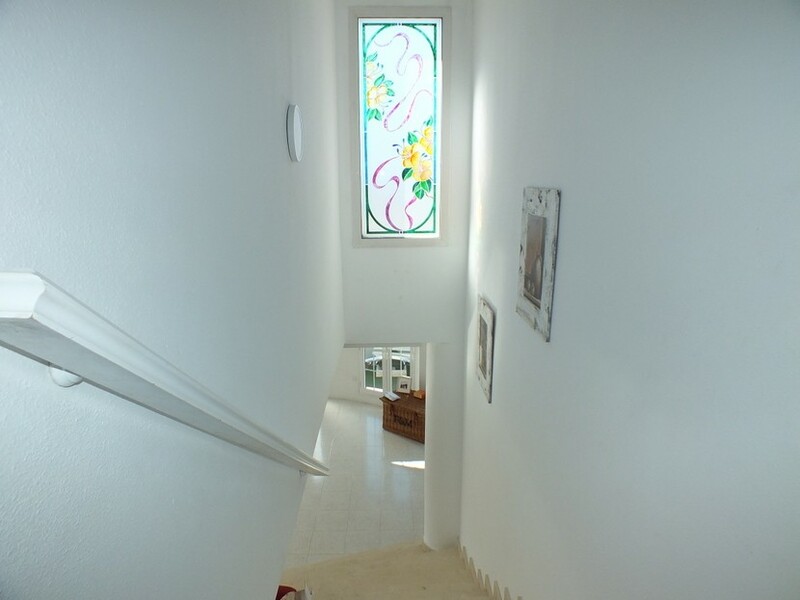 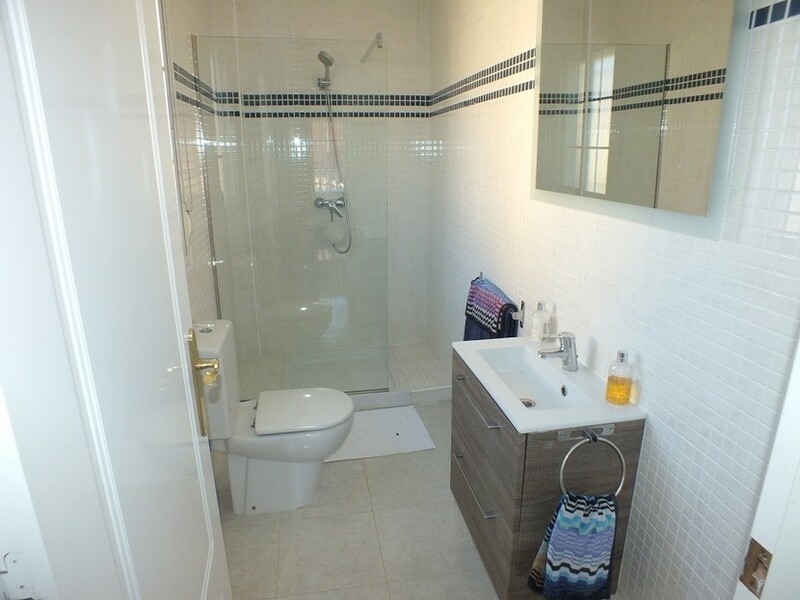 Upstairs you will find 2 more double bedrooms with fitted wardrobes and a family bathroom. 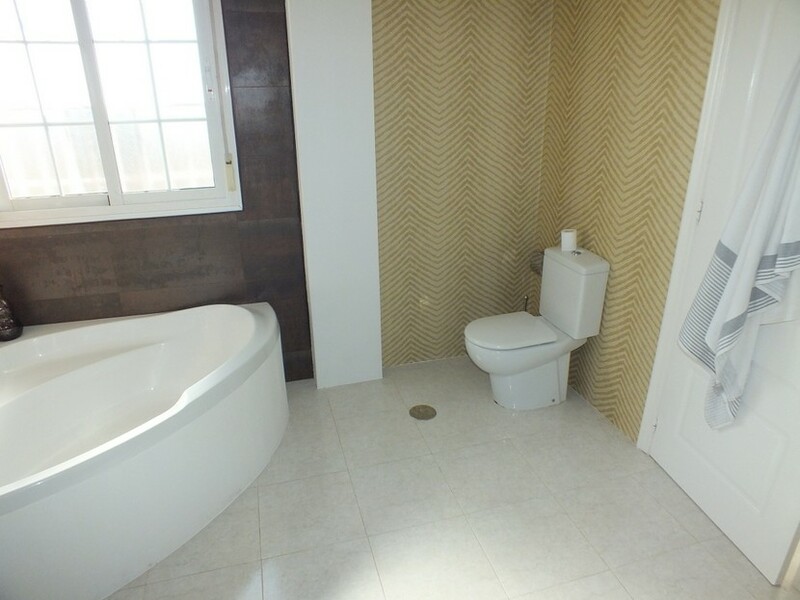 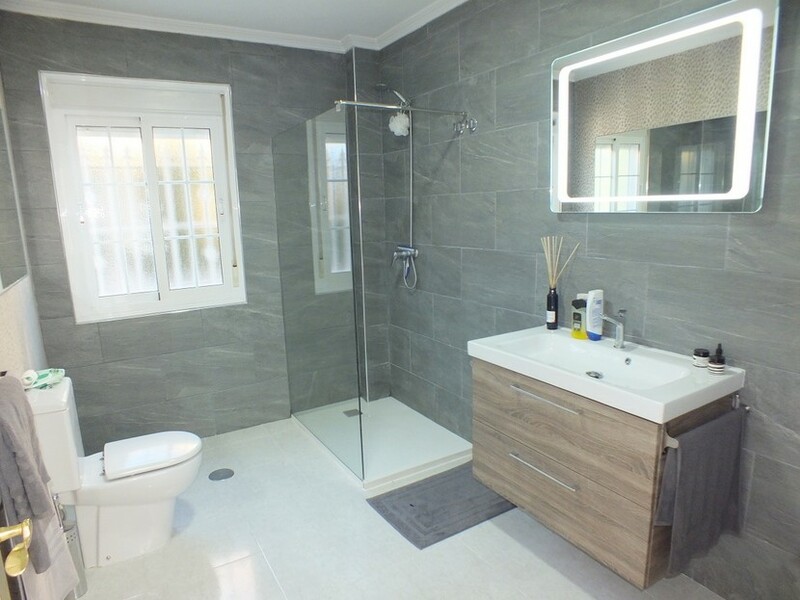 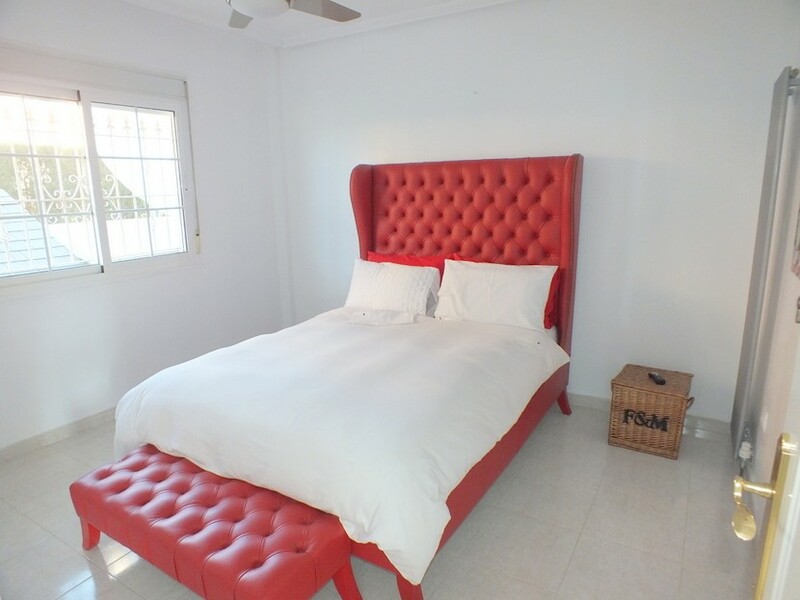 The spacious master bedroom is en-suite with walk-in shower and a corner bath. 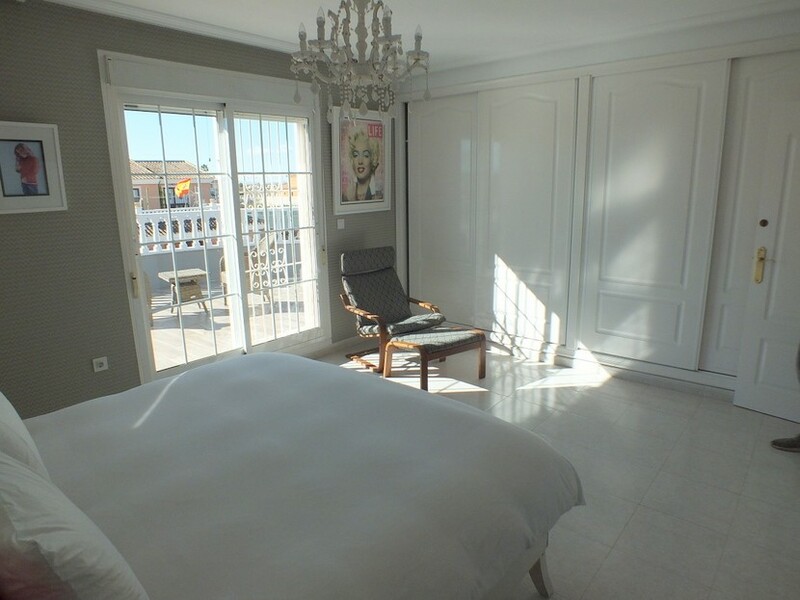 From the master bedroom, you have access via patio doors to a large terrace with views to the mountains. 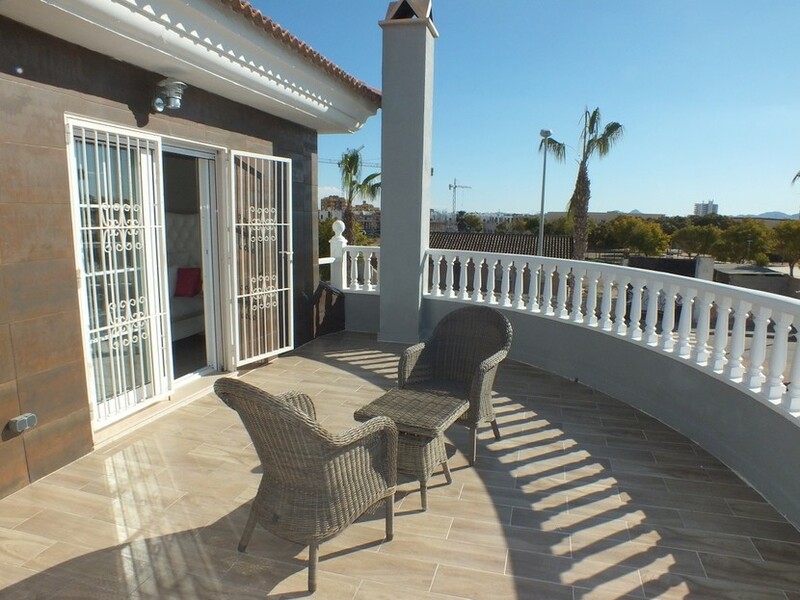 There is also another terrace which has been converted into a study. 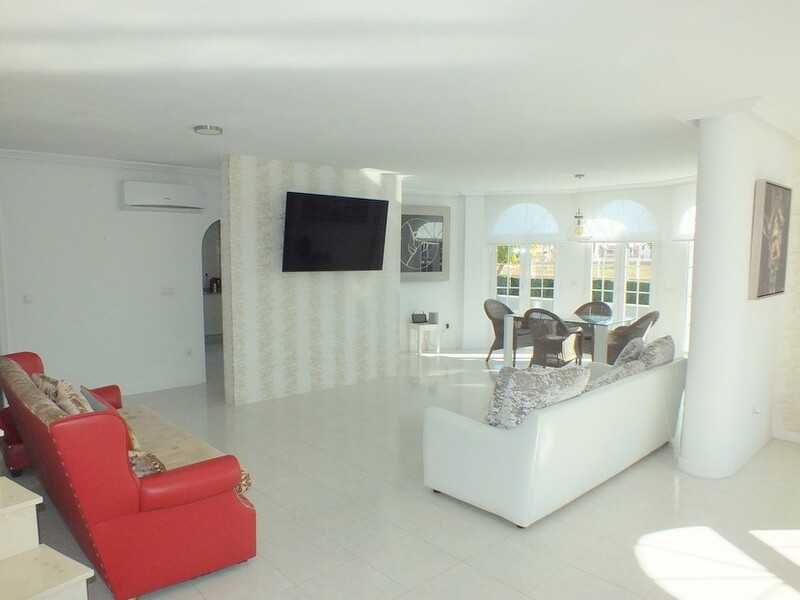 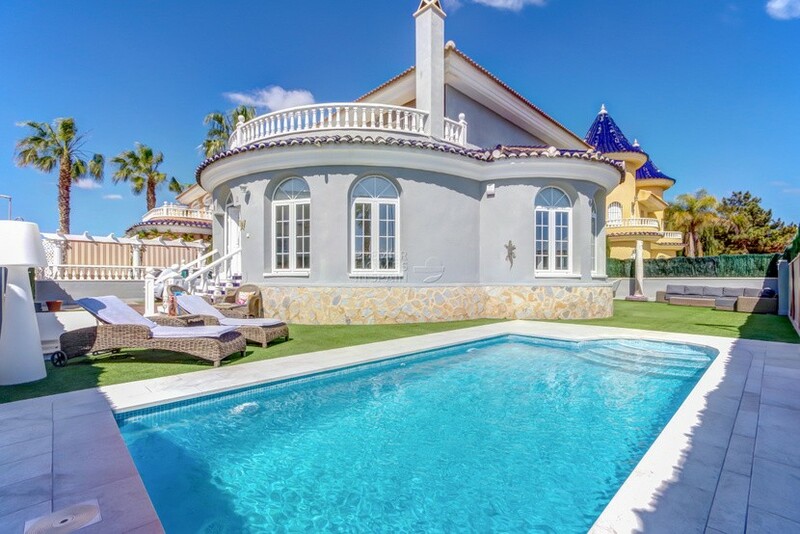 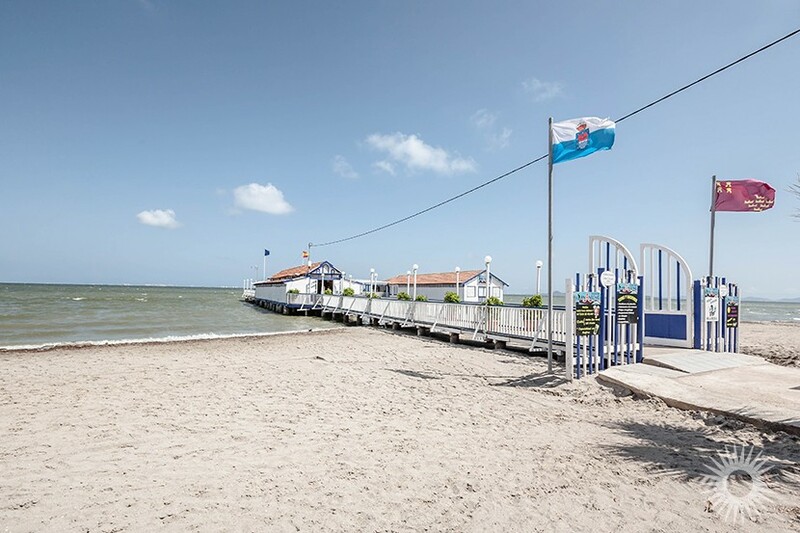 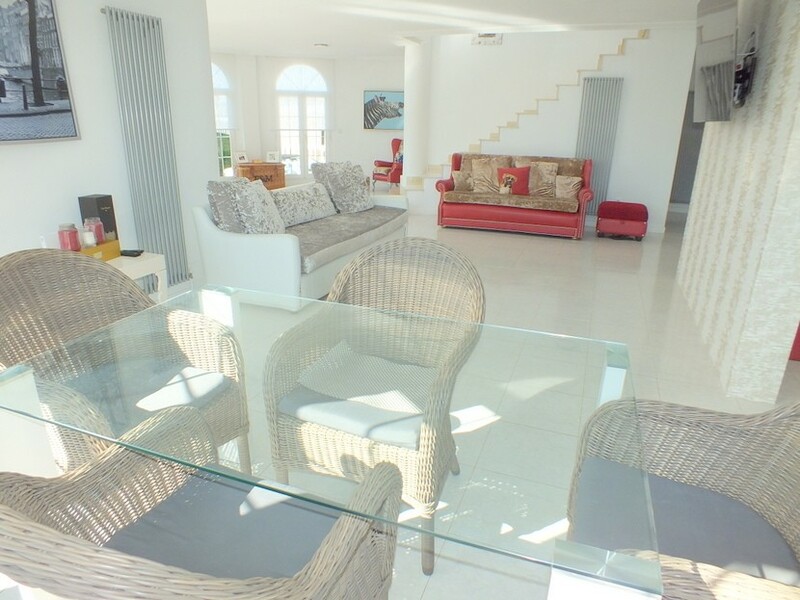 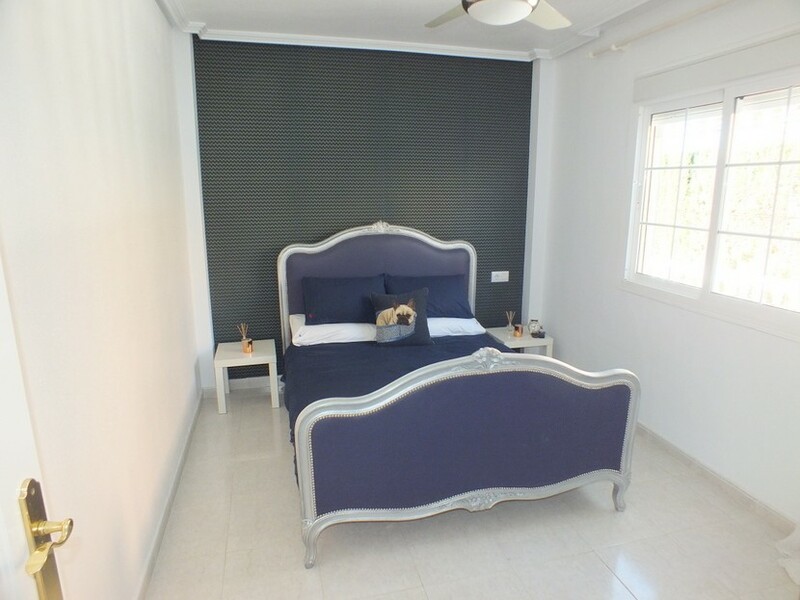 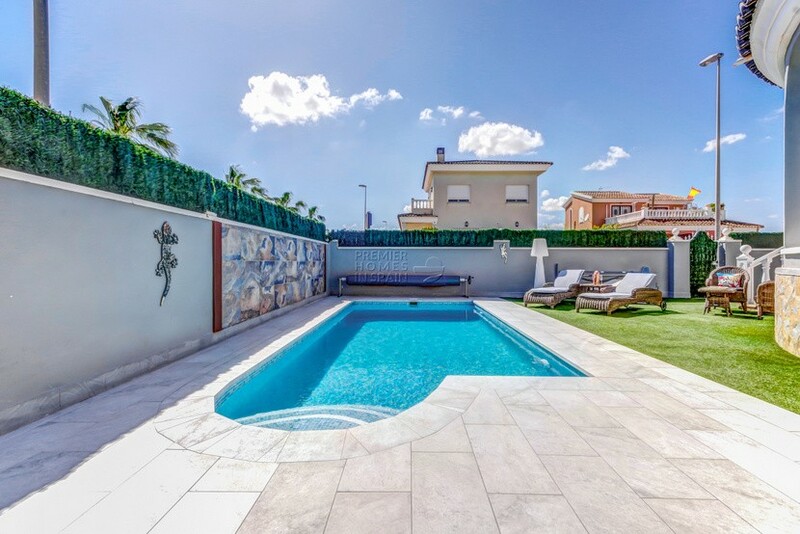 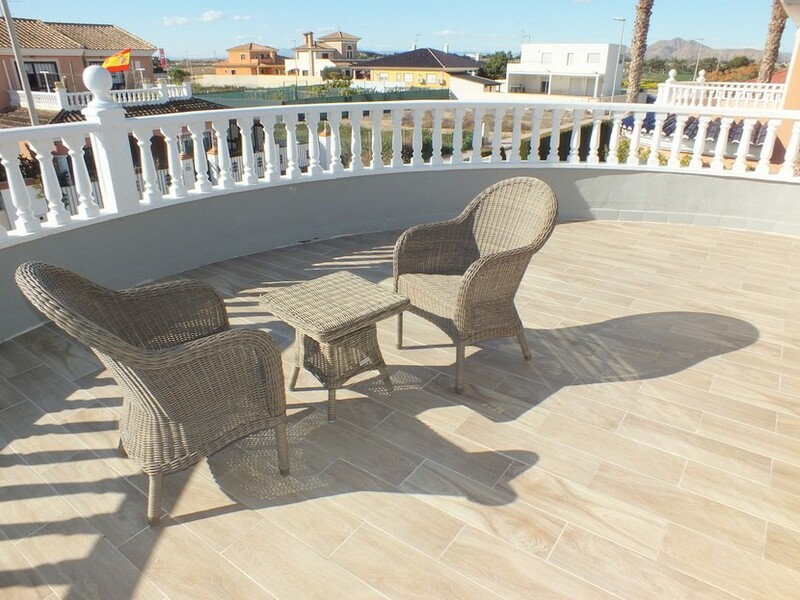 The villa has been recently refurbished to a very high standard and benefits from a private pool, gas central heating, air-conditioning all through, an alarm and CCTV cameras.